After getting a reprieve during the World Cup, the WSOTP Pic of the Week series makes its return in grand fashion. In fact, its resurrection is so grand that you could even call it a black tie affair. 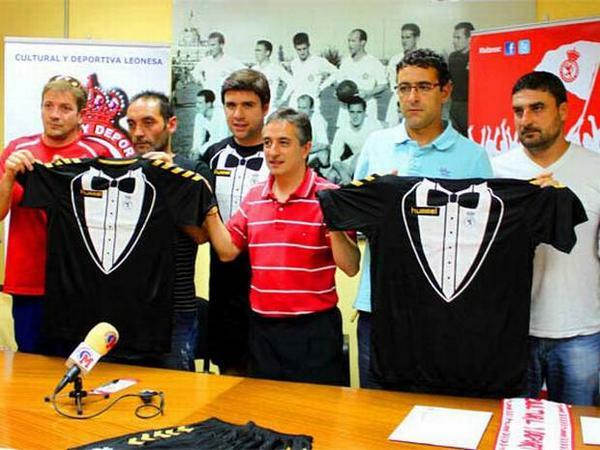 Well, that’s at least what Spanish Segunda B side Cultural y Deportiva Leonesa thought, as they debuted their brand new “tuxedo kit” to be worn for the 2014/2015 campaign last week. Such was the excitement at the club for the new shirt, you can practically feel the disdain on the faces of Cultural staff forced to make an appearance at the press conference announcing the kit. From the forced smile of the player wearing the kit, to the complete lack of elation from anyone else in the picture, you could imagine the only person happy to see this kit debut is the fashion naive sucker who designed it — and I would imagine that’s the dude in red in the middle. Fans of Cultural can take heart in knowing they’re not the only side in Spain that’s been stricken with a horrendous kit in recent times. In fact, fellow Segunda B side La Hoya Lorca made an appearance last year in this space for their god awful broccoli kit. 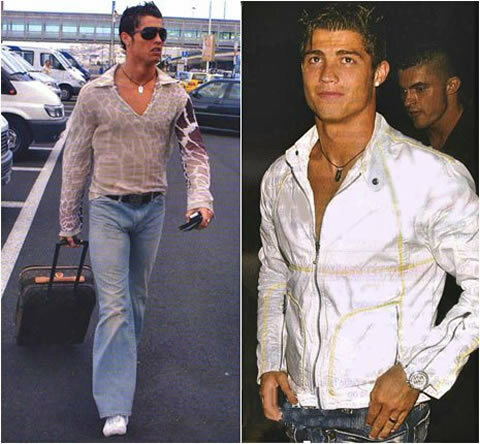 Though in a country where this was considered fashionable, none of us should really be that surprised.